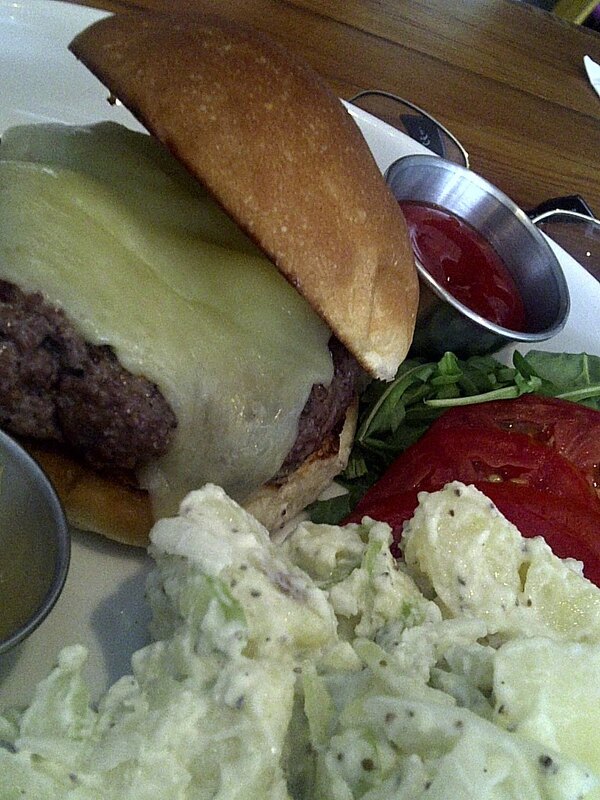 I had this “Heritage Burger” made from “ancient breed” beef at Balliceaux. I had no idea what “ancient breed” beef meant, but it looks so cool on the menu. I had an ancient hamburger. I feel like I can brag about that. The burger was good. It tasted like beef. The cheese on the burger was strong and salty. I liked it all. I would order this burger again. I also had the potato salad. It was OK but I won’t remember it forever. Some of the potatoes were a little crunchy. I have a thing about under-cooked potatoes. Really, it’s me, not you. My meal cost $10. It would have tasted better if it cost $8. My friend had the house-made pastrami sandwich. He liked his meal so much that I almost regretted not ordering the same thing. I’ve had dinner at Balliceaux a couple times too. All of those meals were more memorable than most. There are a few things I like about lunch at Balliceaux. 1. It’s cheaper than dinner at Balliceaux. 2. The food is mostly local, fresh and looks like it takes some time, creativity and love to prepare. 3. The atmosphere makes me feel like a big deal. There’s impossible-to-understand art and lots of cement. I give it 3,553,008 out of 3,890,495 points.